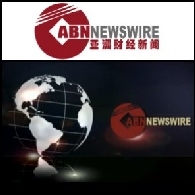 OTC Markets Group (OTCMKTS:OTCM) is co-hosting a complementary webinar with law firms Baker McKenzie and Berns & Berns, and stock transfer agent AST. 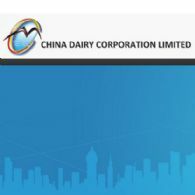 The Directors of China Dairy Corporation Limited (ASX:CDC) ("CDC" or the "Company") and its controlled entities (the "Group") hereby present the Company&apos;s first Appendix 4D - Half Year Report. OTC Markets Group (OTCMKTS:OTCM) is pleased to announce the launch of the OTCQX Billion+ Index (OTCQXBIL), a new benchmark for tracking the performance of OTCQX companies with market capitalizations greater than $1 billion. OTC Markets Group recently launched the OTCQX Composite Index (.OTCQX), OTCQX International Index (.OTCQXINT) and OTCQX U.S. Index (.OTCQXUS), to provide investors with a benchmark of the established, global and growth companies traded on the OTCQX marketplace. On May 16, the SEC updated its Compliance and Disclosure Interpretations stating that the OTCQX and OTCQB marketplaces are now considered "established public markets" for the purposes of establishing a public market price when registering securities for resale in equity line financings on SEC Forms S-1 or S-3. 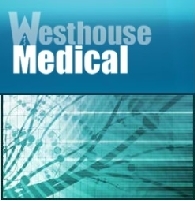 Healthcare Specialist, Westhouse Medical Services Plc. (FRA:5WM) today announces it has commenced the process for dual listing on the OTCQX, alongside its present listing on the Frankfurt Stock Exchange (FSE). Soloway Group, a licensed Principal American Liaison, will handle and advise on the OTCQX listing procedure. 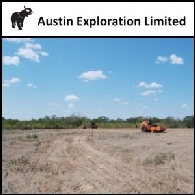 OTC Markets Group Inc. (OTCQX:OTCM), the financial information and technology services company that provides the world&apos;s largest electronic marketplace for broker-dealers to trade over-the-counter ("OTC") stocks, announced that Austin Exploration Ltd. (OTCQX:AUNXY) (ASX:AKK), an oil and gas development company, has chosen to have its American Depositary Receipts (ADRs) traded on the highest tier of the OTC market, OTCQX(R).